The article will be posted in 3 parts -which should be released a week after another. Developing a software application is a creative and complex process. It becomes specially challenging when trying to design an interface which suits the end-user. Designers, project managers and programmers all have different views on how to approach their common goal: a successful, stable and user-friendly design. Now let’s be honest: how many of you have met their targets on time and within budget? How many of you have spent sleepless nights because of unforeseen problems which came up in the very last minute? I bet there are a few of you and one of them is me! Most problems come up at a stage where a lot of design and programming work has already been invested. These problems become apparent when the test-users start getting their fingers dirty and as soon as they uncover flaws with your work, a lot of heartache will follow. User-tests are necessary yet are often deployed when it is ‘nearly too late’. Don’t get me wrong, I’m a keen supporter of usability tests but I believe that the traditional ways of running such tests are outdated. 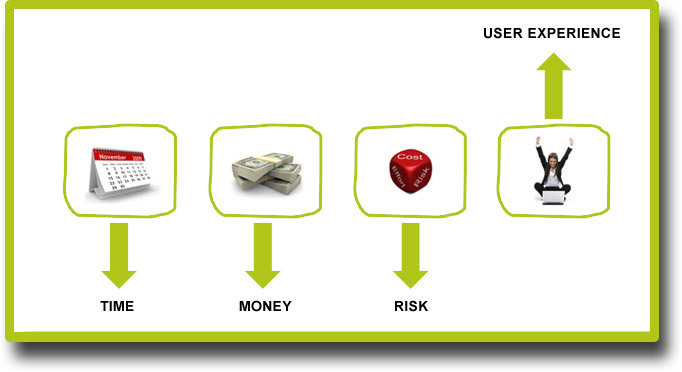 The user should be included in the production process as soon as possible. The sooner this happens, the less time and money you will spend on conducting usability tests since you will be able to spot the flaws at an early stage. Makes sense, right? So why do we keep insisting on setting up expensive test labs and pay thousands of dollars for expensive equipment and spend time and money in finding the right test-users? I want to present you a different approach to user-testing, a way which may very well change your attitude towards the established forms and also a way which can save you from those troubles mentioned earlier. In order to gain the feedback you need, it always helps to gather qualitative data of users which can test your product in the right environment. Having housewifes, students or seniors sitting in your office and trying out that new e-commerce website for your client isn’t the way forward, or is it? Well, i think it is defenitely more safe and reliable to let them stay at home and do it from their own desk. Why ruin that new test-rig if you can get your test-users to work remotely? Remote Usability Tests are conducted in the natural environment of the user (e.g. at home). Synchronous Usability Testing is a well established approach for running qualitative Usability Tests. As the name suggests, synchronous testing is done on a one-to-one basis and in real time. The test-user will be running tasks set by the moderator which then can be closely monitored and recorded. The moderator’s difficult task is to interpret and evaluate the test-user’s problems with the product. This is not an easy task and it takes a lot of experience and well refined ability to use the feedback in the most effective way possible. This is why synchronous Usability testing is often done with low-fi prototypes – therefore early testing is possible. Next week, part TWO of this article will follow. For all the BarCampers among us: Tomorrow, at 11am, we will open the registration for the UXcamp Berlin 09. As places will be limited, you may want to register early. We have already more than 400 people in our network and quite some interesting session proposals. Please feel free to add your proposal, as the UXcamp will live from your active participation! We are really looking forward to an exciting weekend. Make sure you don’t miss it! We have been in contact with the High-Tech Gründerfonds for quite some time now. Since the beginning of this year we were working on the investment quite intensively. Some days ago we were able to sign the contracts and start with a kick-off meeting in our office. Judging from the negotiations and the kick-off meeting we have a very positive feeling with our investor and are looking forward to our cooperation. One part of the investment is the contract of a coach who accompanies us founders. Again, our first impression is excellent, having a coach who is able to push our company into the right direction. We are eager to take the next steps together! The High-Tech Gruunderfonds invests venture capital in young and promising technology companies which turn scientific results into economic success. With the support of a seed investment of up to 500.000 EUR the start-ups should take the R&D project to the level of a proof of concept or to the market launch. The High-Tech Gründerfonds has a volume of about 272 Mio. EUR available. Investors of this Public Private Partnership are the Federal Ministry of Economics and Technology of Germany, the KfW Bankengruppe, as well as the combinations BASF, Deutsche Telekom, Siemens, Robert Bosch, Daimler, and Carl Zeiss. Europe Award for 2009. We are proud to be among the most promising European tech startups. And we are in excellent company: our friends from Zimory are on the list as well. Congratulations! Today was the first day of CeBIT 2009. It will be the second time that pidoco° participates in a booth. On Friday the Hasso-Platter-Institute will open their booth for a Spin-off Day. Together with D-LABS we will present our young companies. In case you will be in Hannover as well, we’d be happy to meet you at our booth B10 in hall 9. Either post a comment or send us a mail to contact at pidoco.com. It has been one year ago that we gave our first user his account. 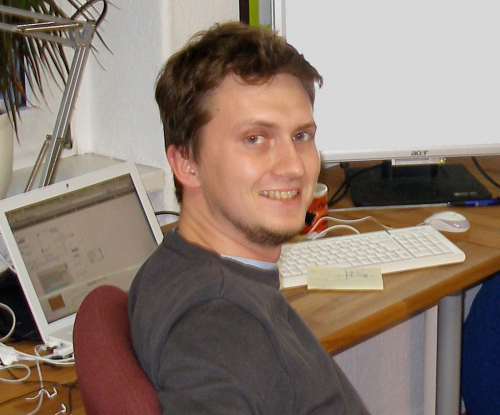 These days, pidoco° was, well, in a very early alpha stage. I just searched my harddisk to find this old screenshot which was taken about a year ago. Comparing it to the current version, there is little in common. We had 8 different elements in our palette, the use case view was called sitemap, and yes we had a properties table on the right side. People were using Firefox 2, because Firefox 3 was just available in Beta 3. Safari has been working on its version 3.1, which introduced acceptable SVG support (today we have Safari 4 Beta just released). Today is a major milestone for our young company: we signed the contract of our first full-time employee! We’re very happy to have you with us, Lars. Knowing each other since our very first days at university, we are appreciative of your excellent skills and have no doubt that you will speed up the development of pidoco°. 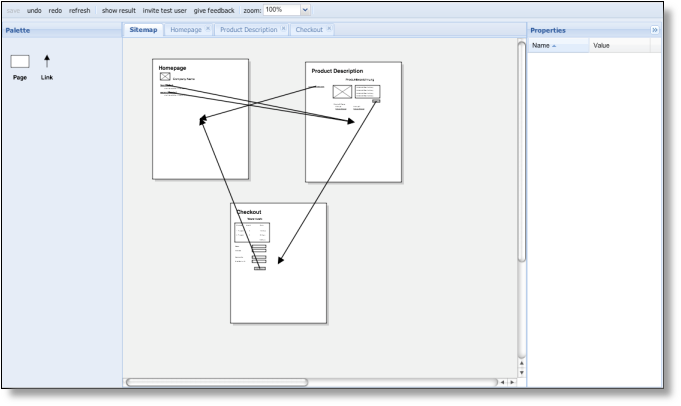 This evening we deployed a new release of the Prototype Creator. During the past weeks we worked on many small bug fixes that should make working with pidoco° more fun. In addition, we adopted the design of the prototype repository to better fit into our website. 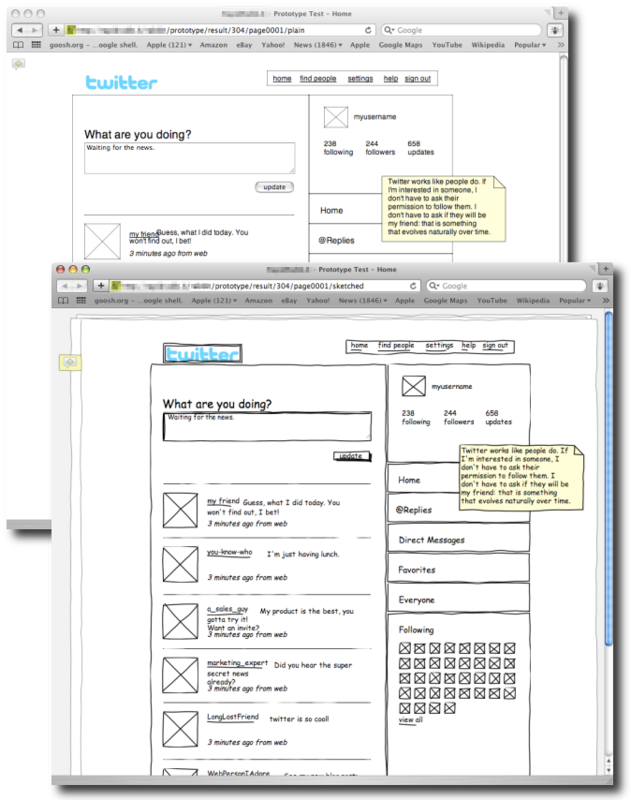 What you see for each of your prototypes is a list of users that have access to it and the last saved version of the prototype. You already might have wondered, why you have to type in a name every time you save your prototype. From now on you can see these names again in the repository. 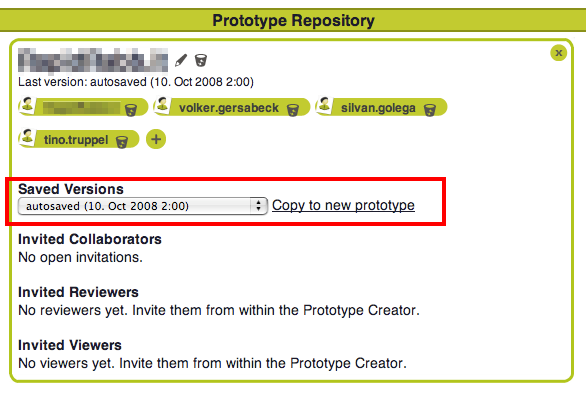 Because all your work is saved immediately as you go, the save button creates a snapshot of your prototype. We call this a version, a milestone, a revision, whatever you like to use it for. Ok, you have those versions, and now? 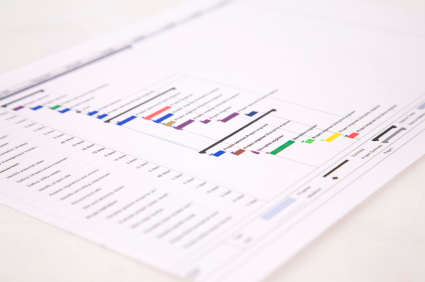 When you open the detailed view of a prototype, you get a detailed view of your options. There you have a list of all the old versions that you have saved already. In addition, we are creating a snapshot every night after you worked on the prototype. This should give you enough choice whenever you feel the need to jump back to an older version: simply copy the version you like and open this new prototype to go on with. Whenever you feel that something is not working correctly or you have ideas how we could improve pidoco°, please feel free to get in touch with us.